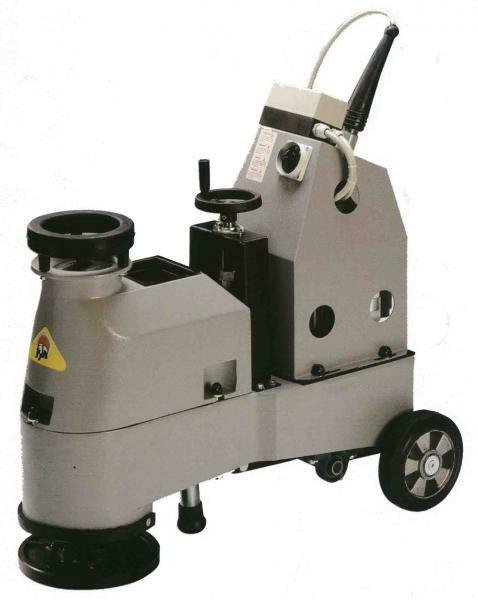 Honing and polishing machine for marble, terrazzo and granite. Usable either with standard abrasives or diamond tools. Built with aluminum tank and base. It is the only machine equipped with a hand wheel for back wheels leveling, located in machine centre.